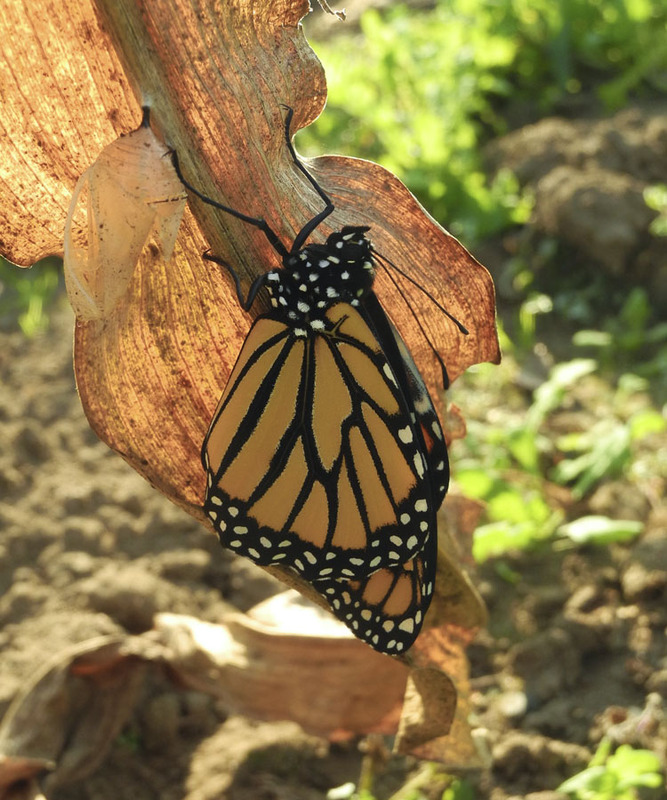 Yesterday, I was in the garden digging up the dried corn stalks when I spotted a Monarch butterfly chrysalis hanging from one of the corn leaves. 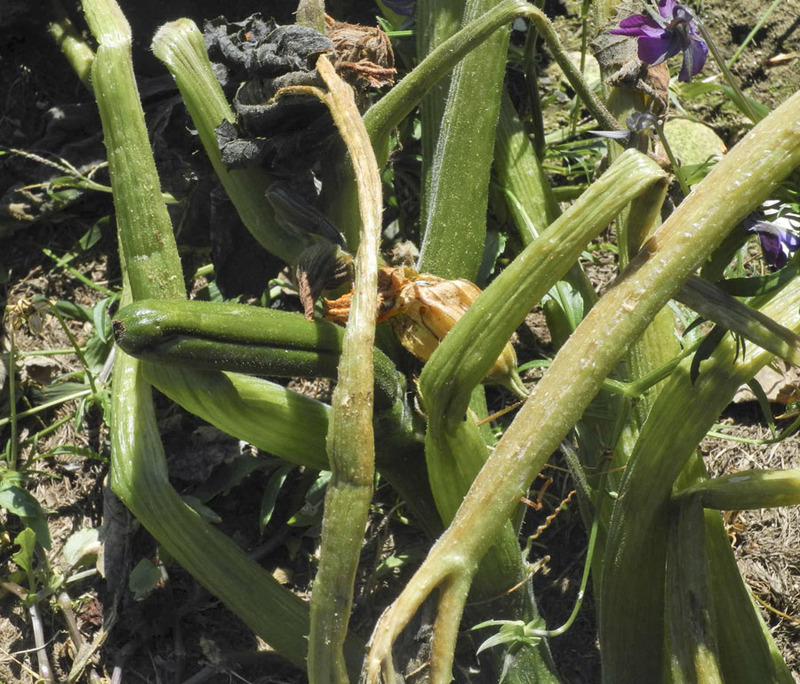 It was quite a surprise to find it so late in the season and hanging from a vegetable. Two years ago, I found one on a swiss chard stalk that I was about to cook. They are so beautiful with their necklace and spots of gold on a celadon ground. 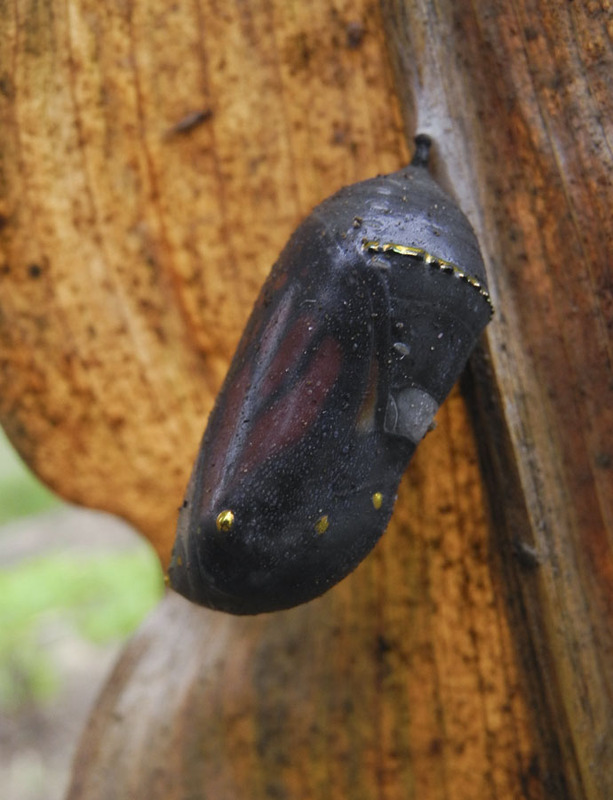 By this morning the chrysalis had turned black and I could clearly see the wing. The day was cool and gray, so I wondered if the butterfly would emerge. By later in the afternoon the weather had warmed and there was some sun through high clouds, so I felt sure I would see the butterfly today. This photo was taken at 2:39 PM. 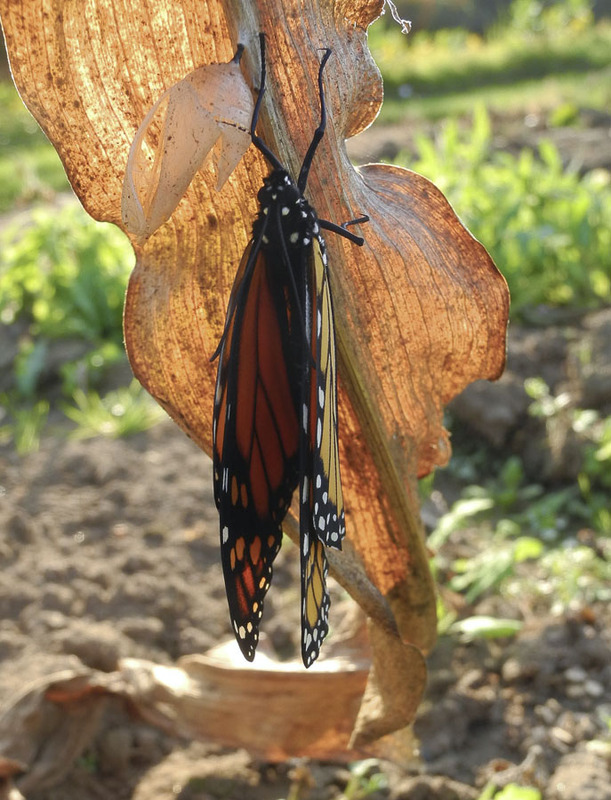 You can see the chrysalis hanging from the leaf on the right. I did chores out in the garden so I could keep an eye on it. Nothing seemed to be happening at 4:10 PM so I went into the house for a few minutes. Oh! I wish I had not: when I returned I could see from a distance that the butterfly had emerged. I took this photo at 4:26 PM. 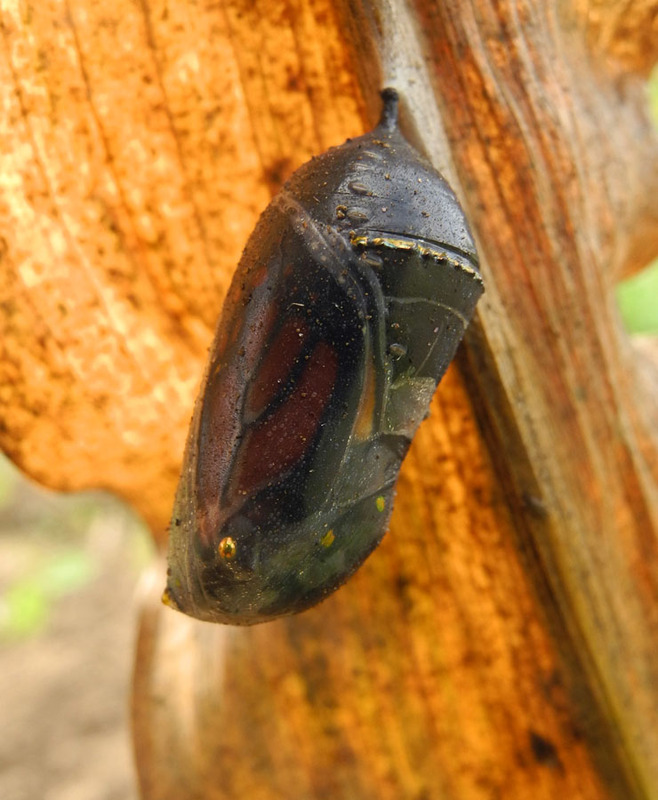 The same thing happened to me two years ago: I waited and waited, went into the house, and when I returned a few minutes later, there was the butterfly and its now empty chrysalis. They seem to be shy about sharing their emergence. The wings are crumpled, not surprising seeing how small the container was for the body and wings of this large butterfly. By 4:35 the wings were already smoothed. The butterfly was busy seemingly cleaning its face and testing its proboscis. It was moving toward evening and cooling off. 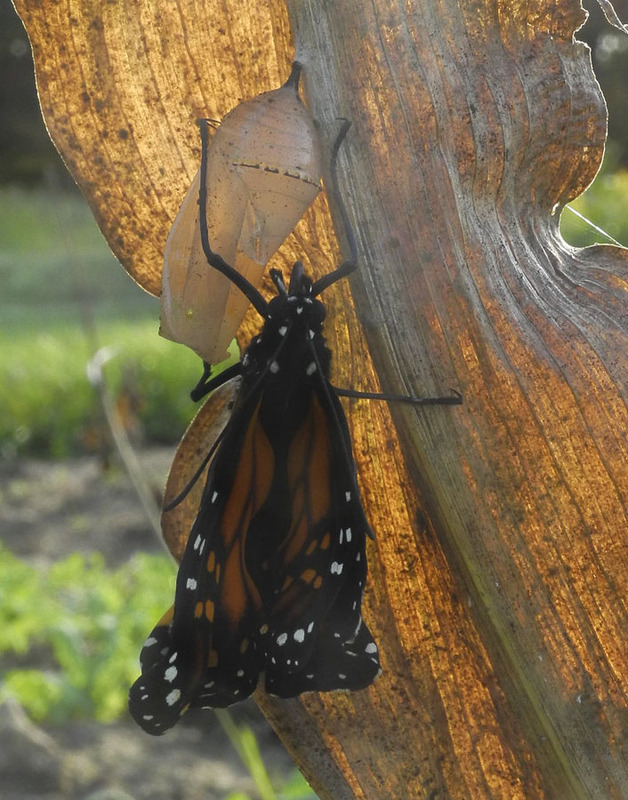 At 4:43 the Monarch was slightly opening its wings. An hour later I did not see it spread its wings. Because of the cool early evening, I wonder if it will wait until morning to do so. 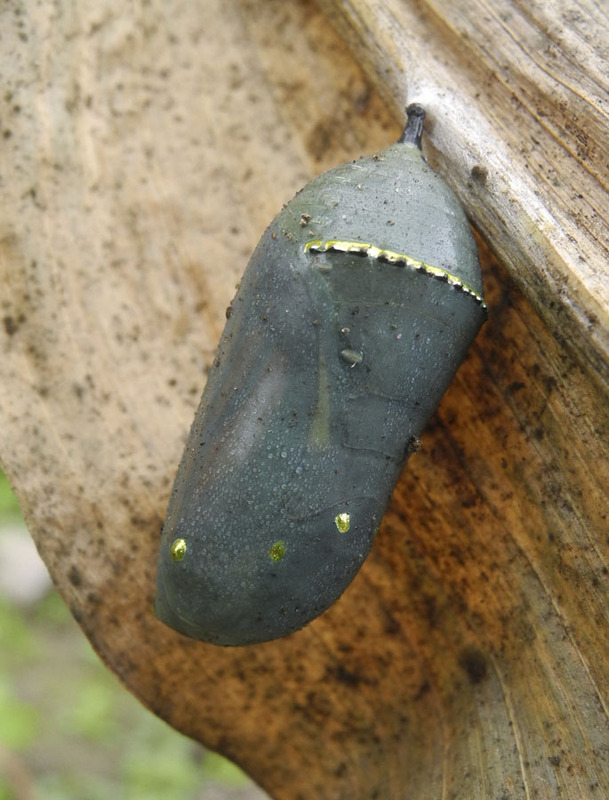 I was so happy to have found the Monarch chrysalis before dumping the corn stalk on the compost pile, so happy to know it had a successful birth; now I wish this beautiful endangered creature a safe journey south. When I returned home after several days in NYC, I could see that the fall color had taken a huge jump towards peak color. The hills are now dotted red and orange, and trees nearby are bright as though lit from within. I think that colors are especially rich on a gray day such as today, and the dark water of the pond sets off the plants around it beautifully. 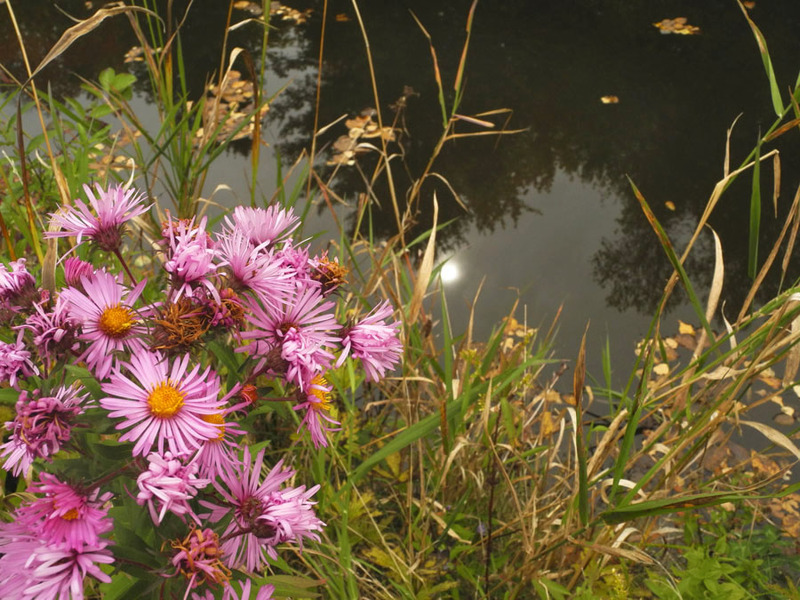 There are still some asters blooming, a cheerful note amid the drying grasses. 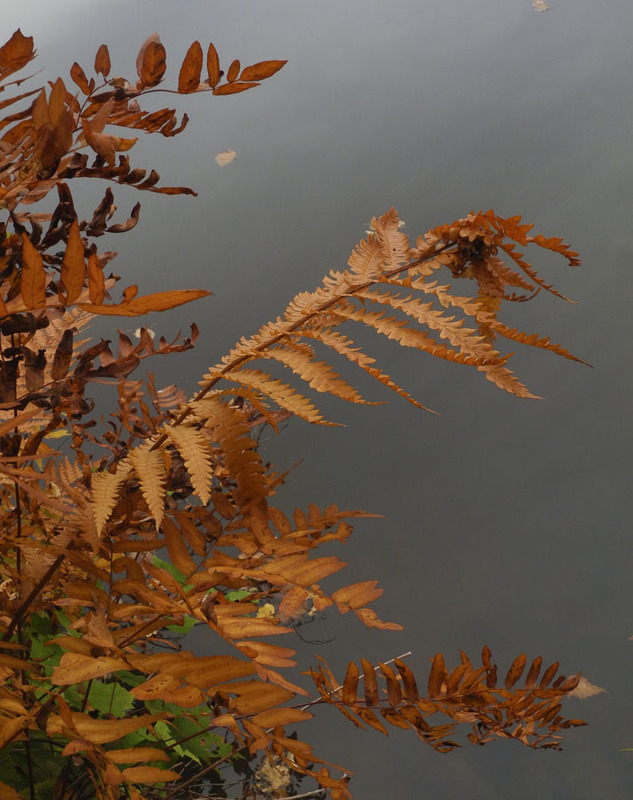 Some ferns turn deep orangey-red in the fall, and are glowing against the gray water. 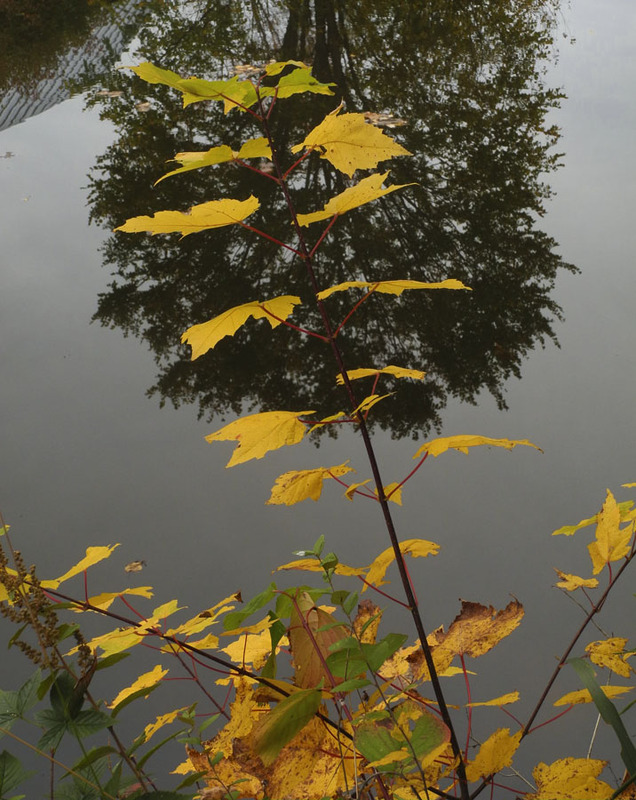 A volunteer maple, bright yellow, stands tall before a reflected tree. 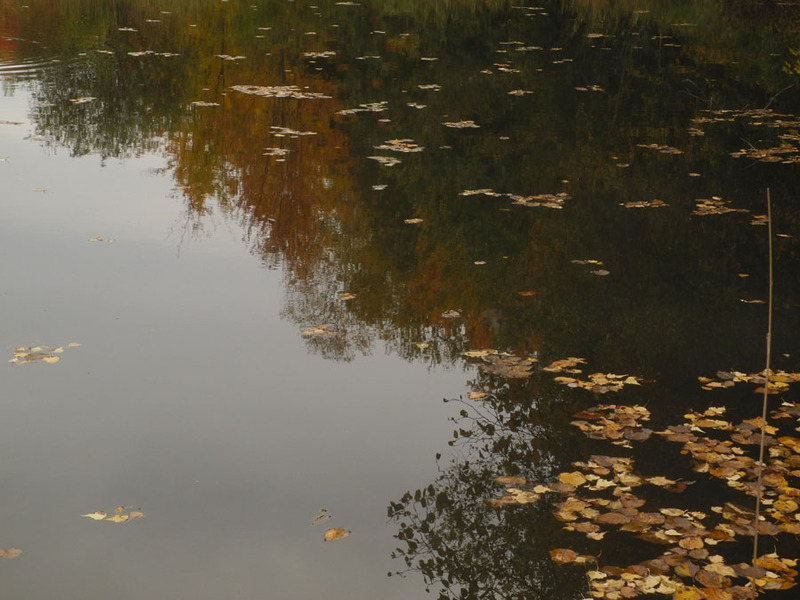 I love seeing birch leaves floating across the pond, their physical presence in harmony with reflections. 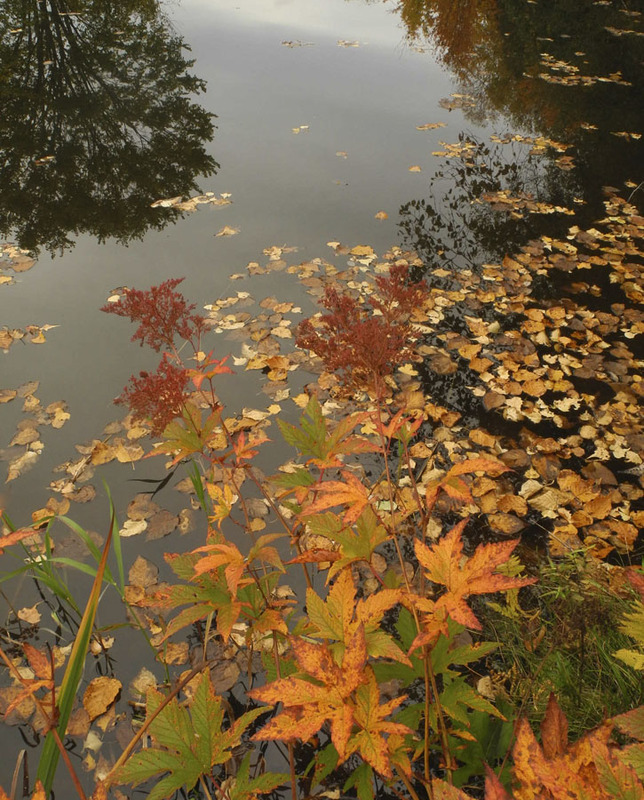 An explosion of warm colors: Queen of the Prairie leaves and seed heads, floating leaves, red reflected trees. 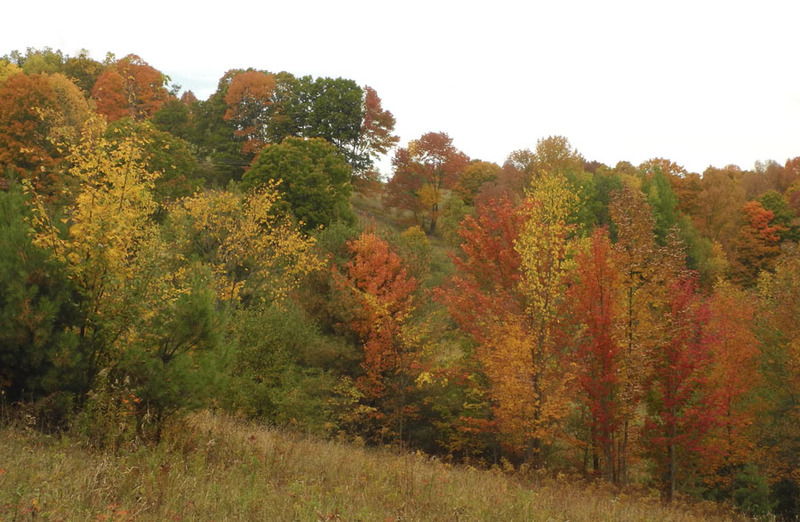 Stepping away from the pond for a final photo, here is a taste of the color on the hillsides below my house. Each year it is a joy, a time of magic to be treasured. 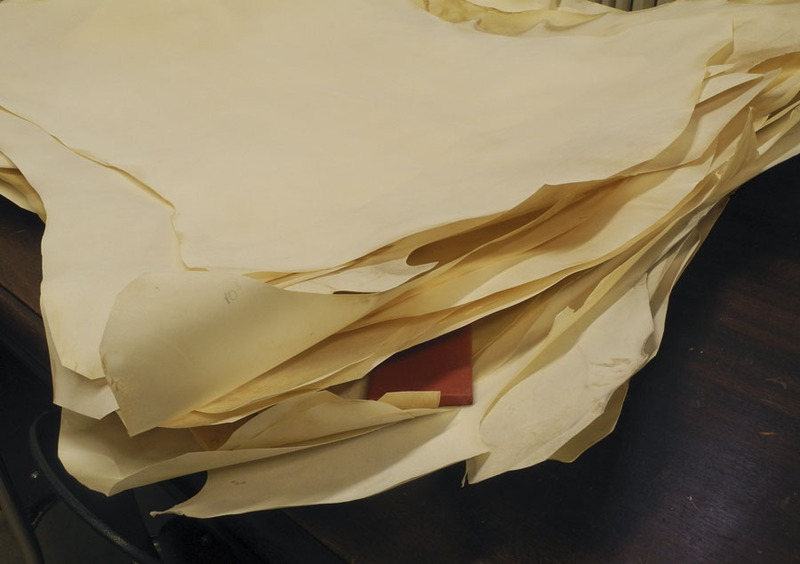 Before paper was invented, animal skins were used for writing and painting. The word parchment comes from Pergamon, the ancient Greek city in Asia minor; when papyrus became unavailable, in the 2nd or 3rd century BCE, the process of parchment making was perfected there. 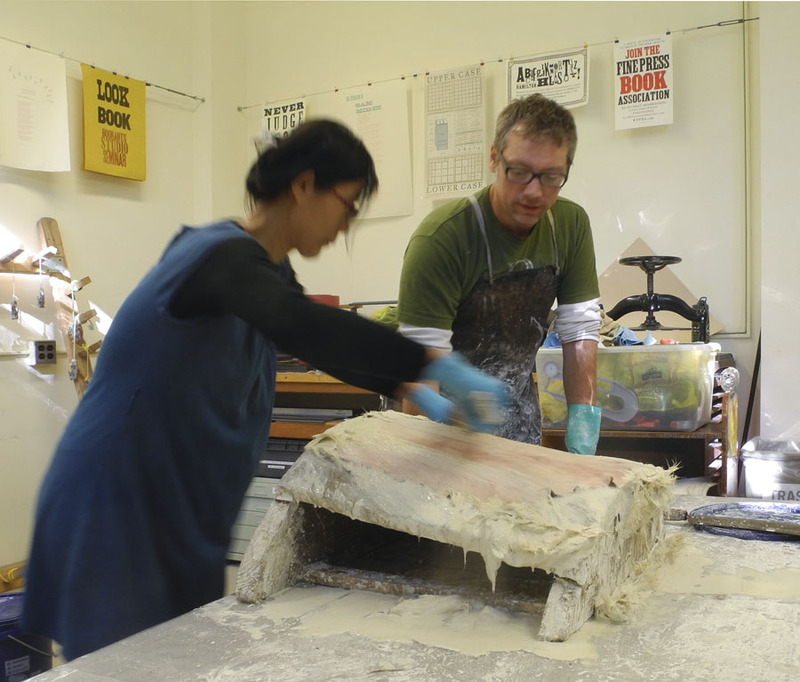 I attended a fascinating workshop last week, hosted by the Book Arts Workshop at Dartmouth College, taught by Jesse Meyer of Pergamena, which has been my source of parchment for my paintings for over 4 years. Jesse explained that his family has been in the tanning and leather business for over 400 years, since the mid 16th century in Eisenburg, Germany. The family moved to Philadelphia around 1830, then to New Jersey, where they worked with, among others, Steinway & Sons piano, and finally to upstate NY, where they continued their tannery work. 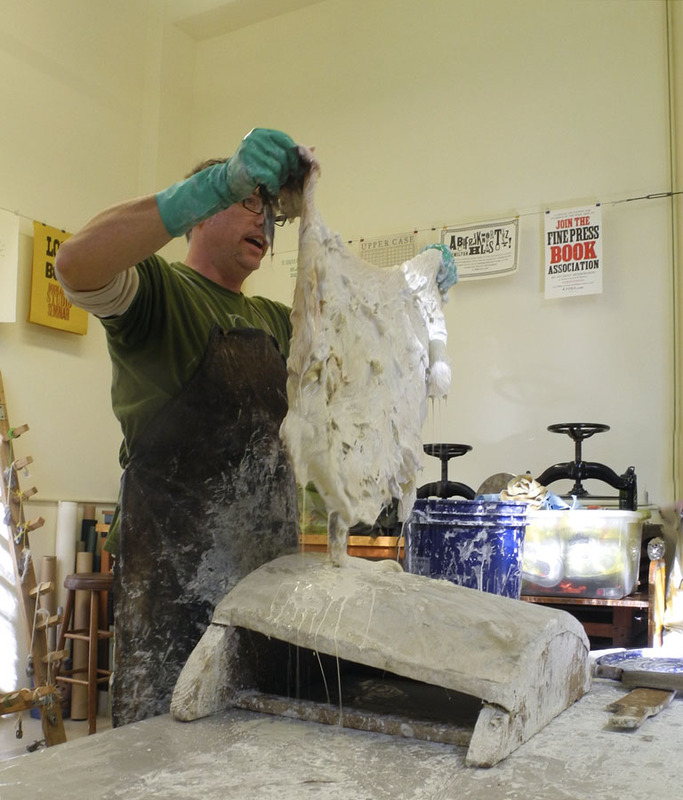 Jesse Meyer became fascinated with parchment, and because there was no one to learn from, he had to figure out much of the process by research, and by trial and error. The tool closest to us is one that Jesse made from a circular saw blade to use in scraping the stretched skin; the rounded blade is called a lunalarium from the word for moon. The long blades are used to remove hair––the wooden blade––and flesh from the animal skin. 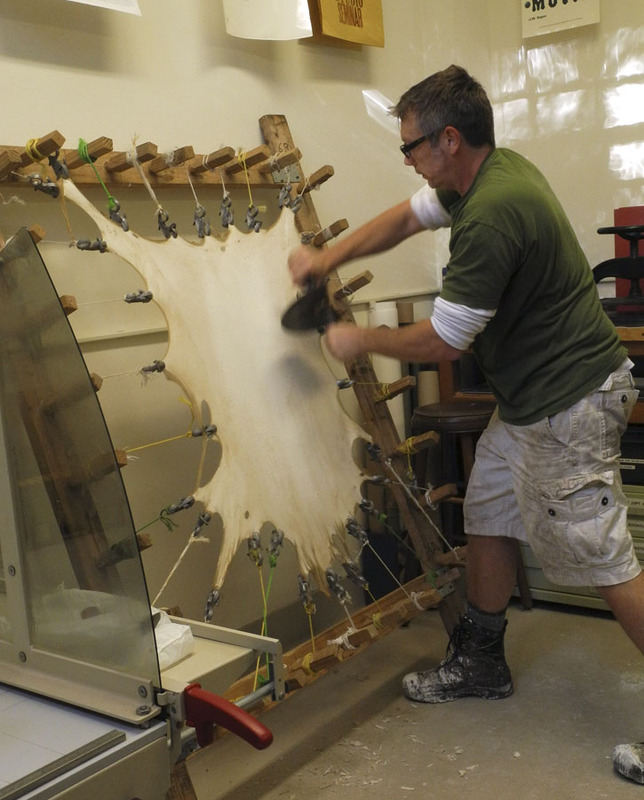 Jesse is holding up a goatskin that has been soaking in a lime solution, which is the traditional way to remove the hair. Now other, faster chemical and machine methods are used. The skin is fairly stinky. 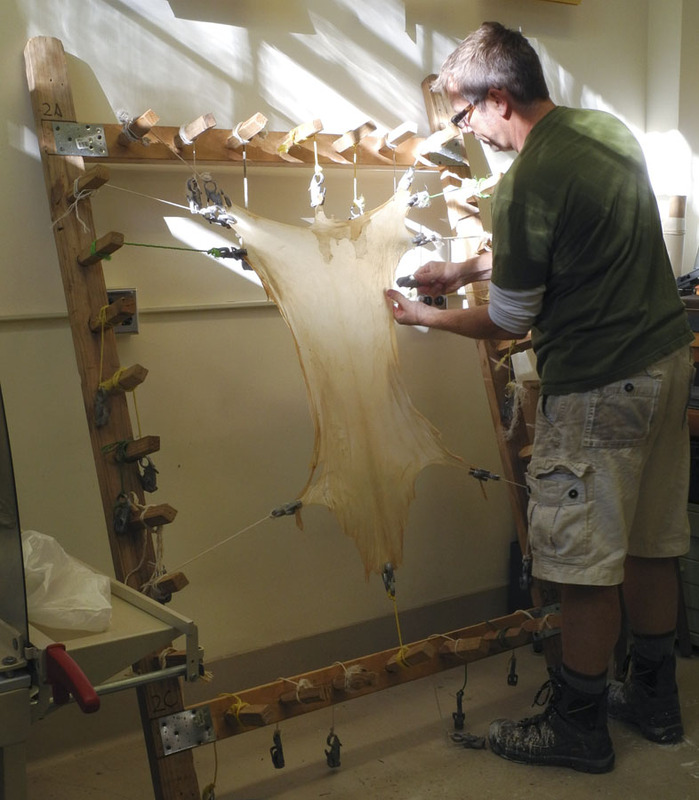 The skin is placed on a beam and the hair scraped off using the wooden blade. 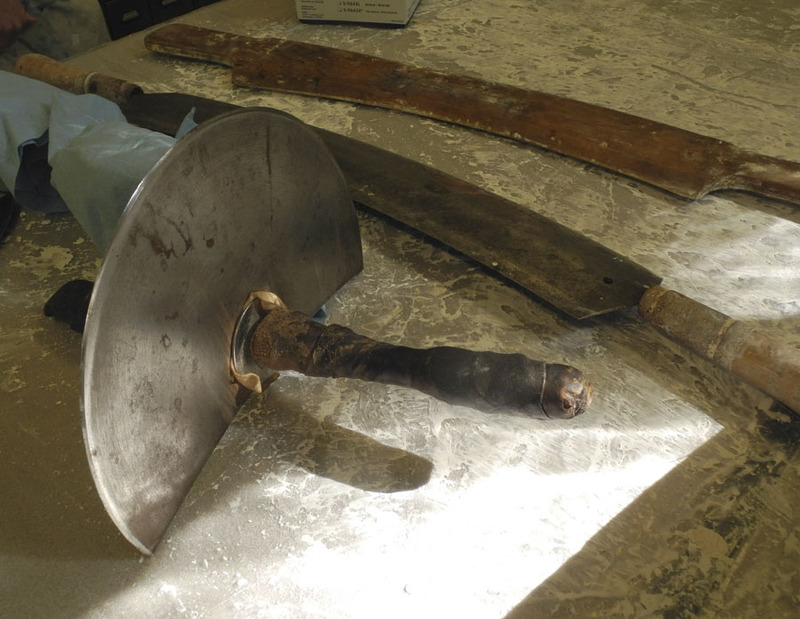 Then the skin is turned over and the long curved metal knife is used to remove any remaining flesh. 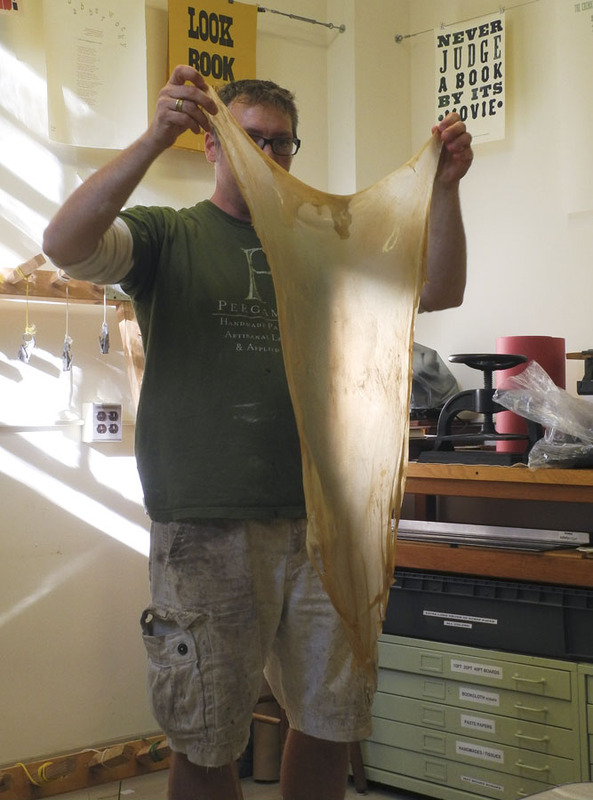 Jesse is holding up another cleaned goatskin that was soaking in water in preparation for stretching it. Notice how transparent it is. Jesse designed frames for stretching the skins. Although some of the process can be done with modern chemicals or machinery, the stretching is still done in the traditional way. The wooden dowels are turned to tighten the skin on the frame. 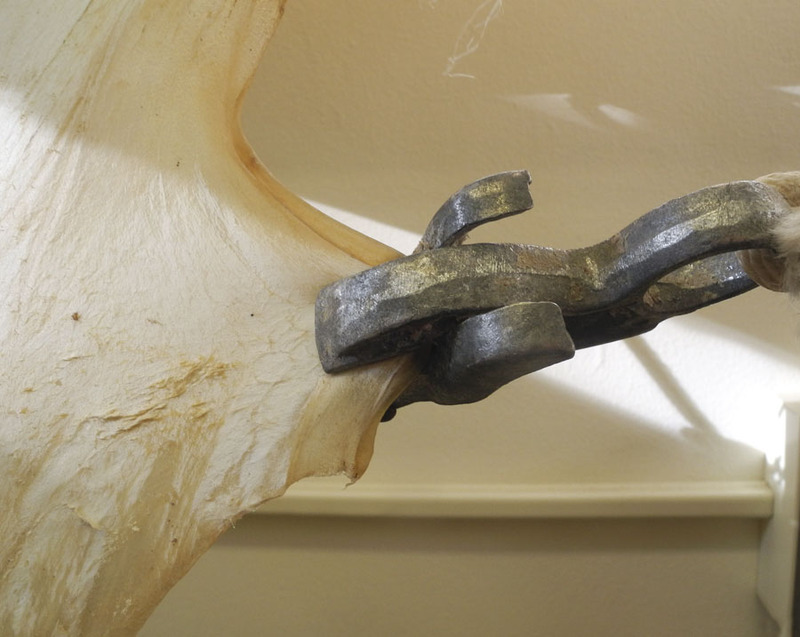 This is the clever clamp used to hold the skin. The next step is to scrape the skin of remaining flesh with the rounded blade you see above. As the skin is scraped it loses its translucency and becomes white. There is still roughness on the surface of the skin after some scraping. 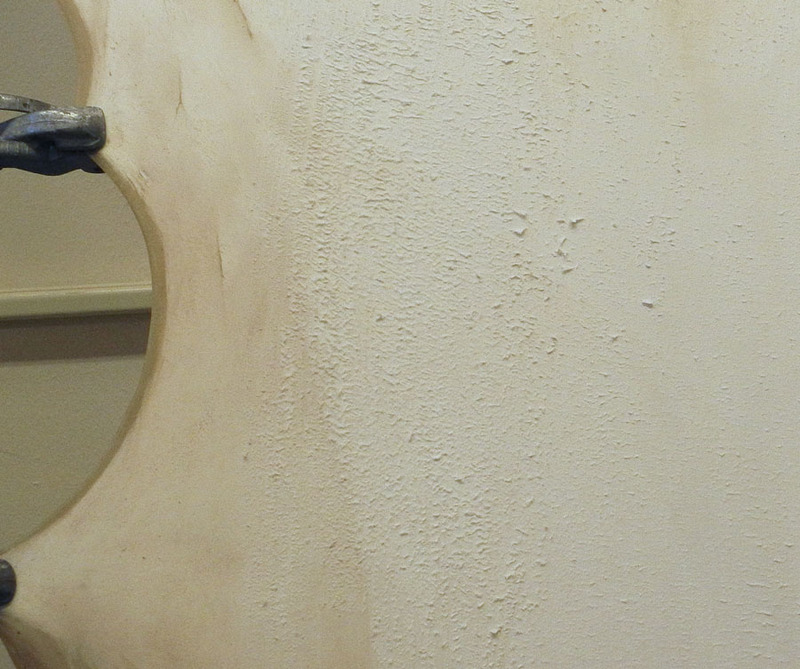 The complete smoothing process takes some time, with wetting the skin and re-sanding or scraping so the fibers lay down. When it is finished, there is a smooth, velvety surface on the skin side. The hair side is more glassy smooth; it is the side I prefer to paint on, so when I order parchment, I get the hair––also called the grain––side finished. It is a deliciously sensuous surface to work on. I am looking forward to taking a more hands-on two day workshop at the Pergamena factory in Montgomery, NY, on November 14th and 15th. 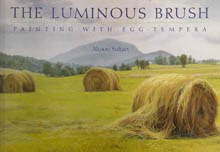 I love working with an ancient medium––egg tempera––on a very traditional surface––parchment––that have venerable histories in the making of art. 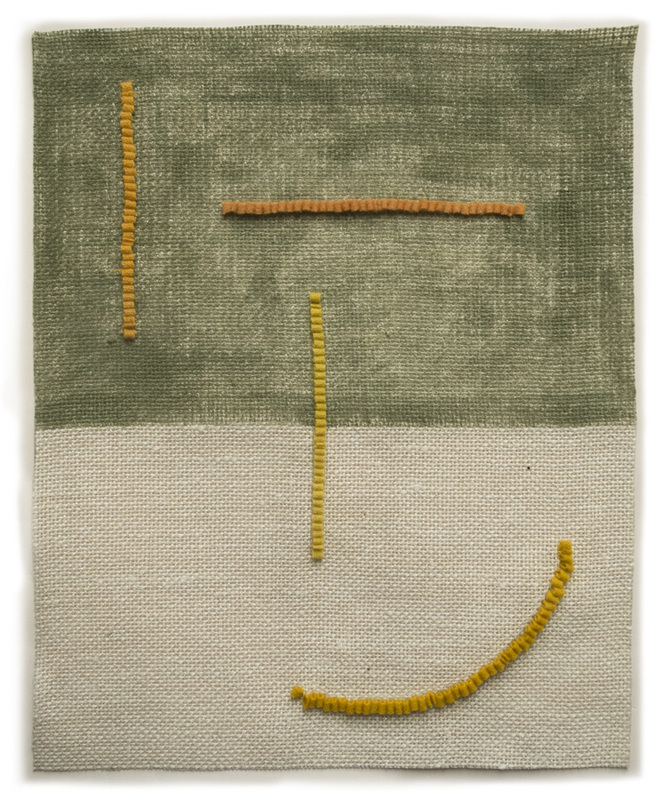 2014 #14, hand dyed wool and egg tempera on linen, 19 x 20 in. I was thinking "lines" while working on the studies for these new hooked wool drawings, so the only thing hooked in wool on these pieces are the lines. In #14, two painted shapes––yellow and blue––hold lines––blue and yellow––while an open rectangle can't quite contain the curved red line. 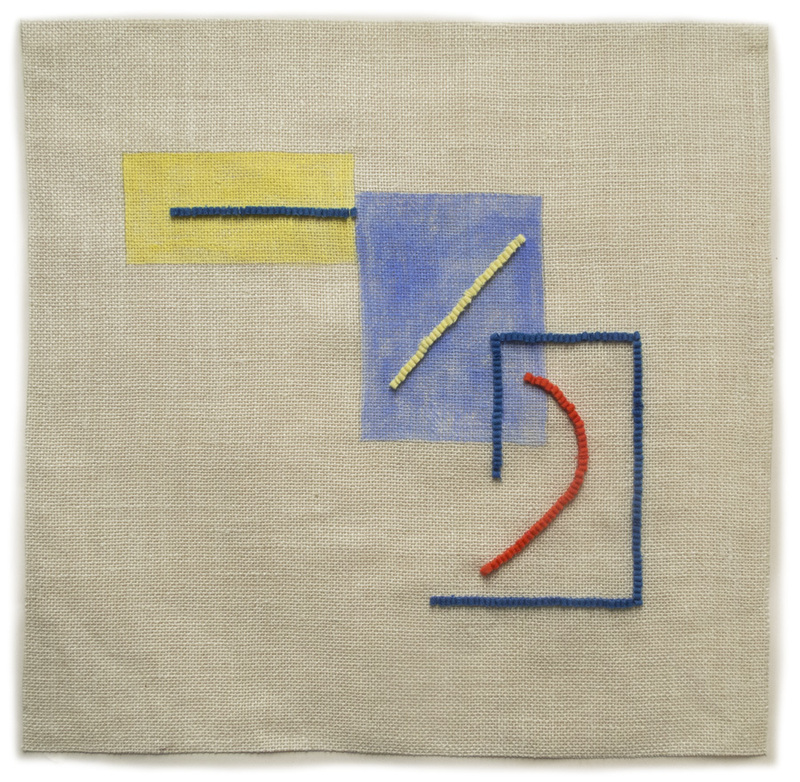 2014 #15, hand dyed wool and egg tempera on linen, 15 x 12 in. 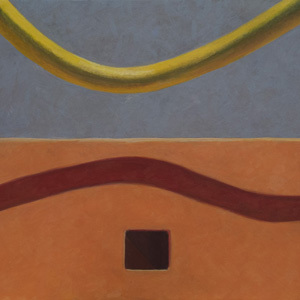 Four lines of various warm hues cross a painted and unpainted surface. 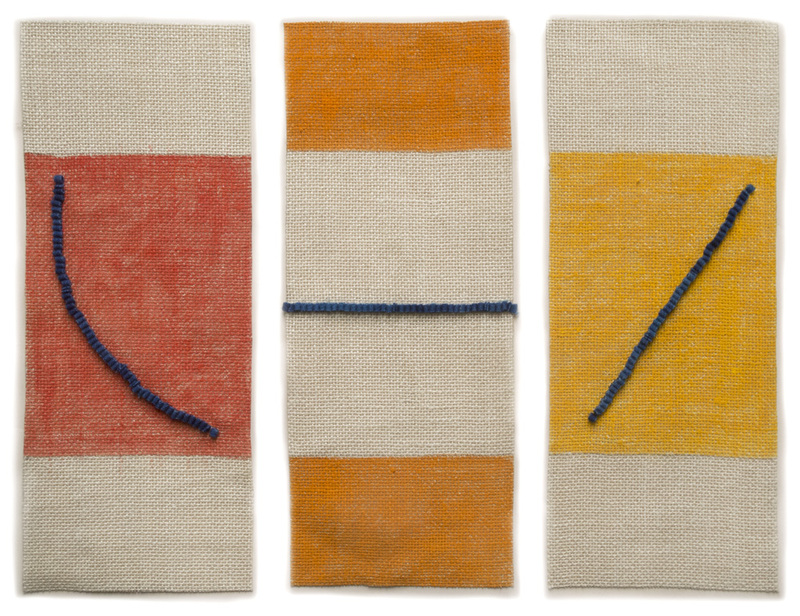 2014 #16, hand dyed wool and egg tempera on linen, 3 panels each 15 x 6 in. A triptych of simple design: lines running across the three panels delineate rectangles of color and of bare linen; lines move within them. A centered horizontal line is accompanied by lines, curved and straight, leading toward it. I enjoyed the challenge of simplicity with these three drawings. 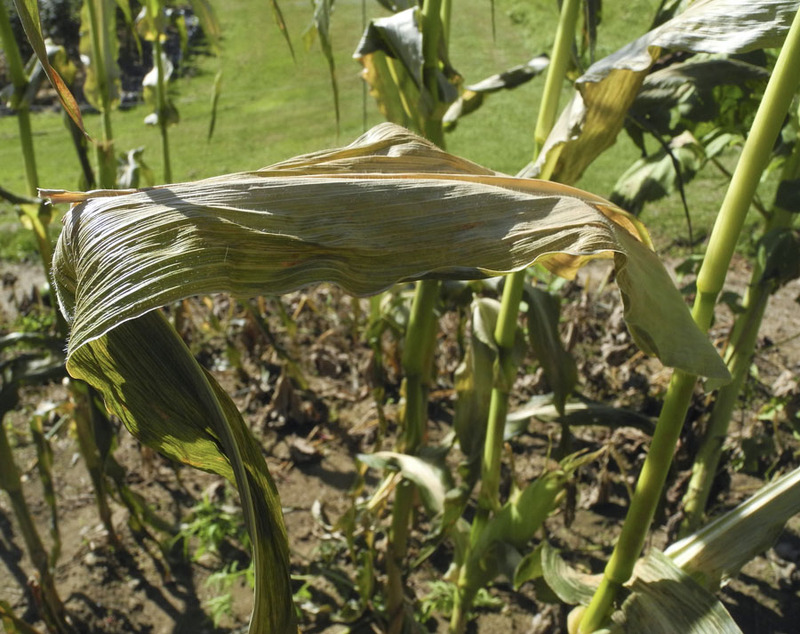 Frost has come early this year, with two nights in the mid 20s. 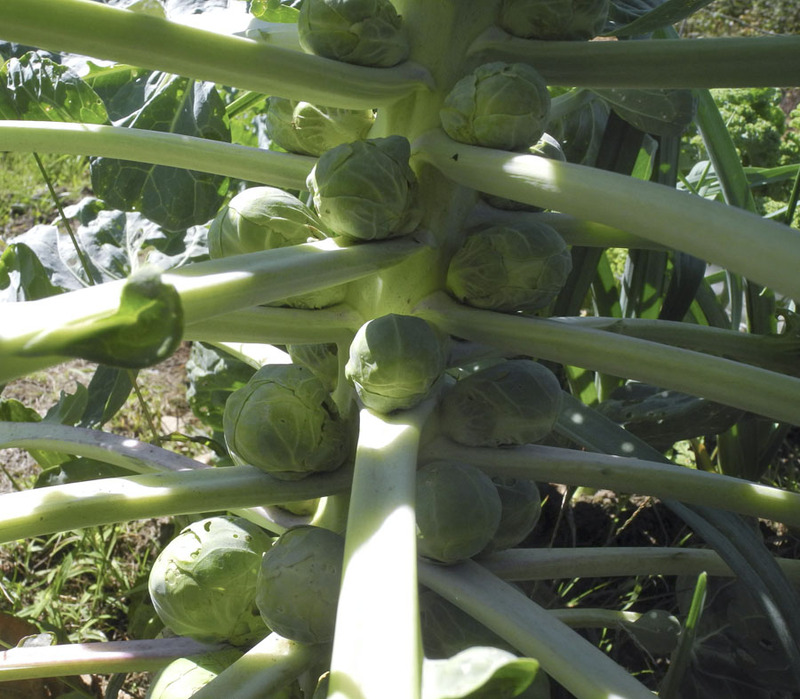 Usually it creeps in little by little, with at first a couple of light frosts with temperatures around 30º. Last year our first frost was on October 9th; this year a heavy frost came on September 15th, which is early but not unusual. 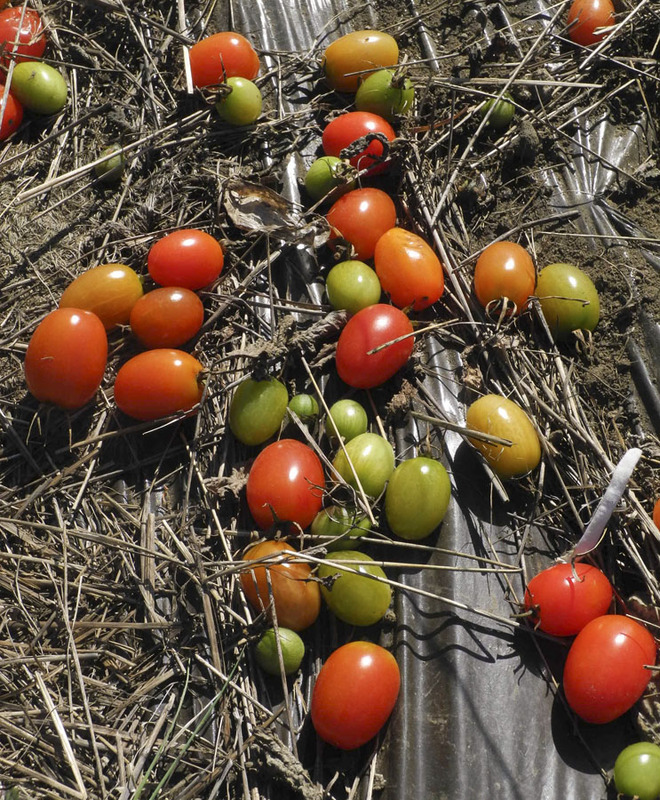 The tomato plants are dead and removed from the garden, leaving some frosted tomatoes on the ground. I'll rake them up and put them on the compost pile. 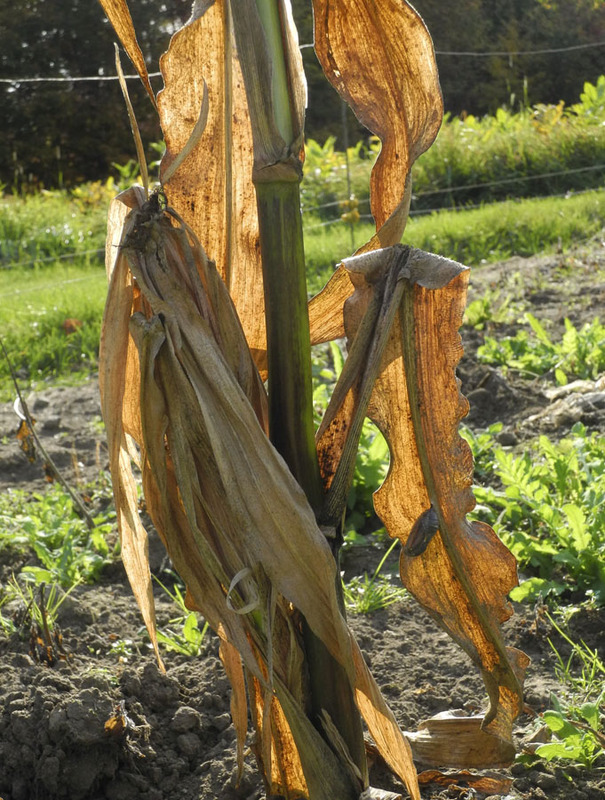 The corn plants have shriveled from the cold, the dried leaves making expressive gestures. 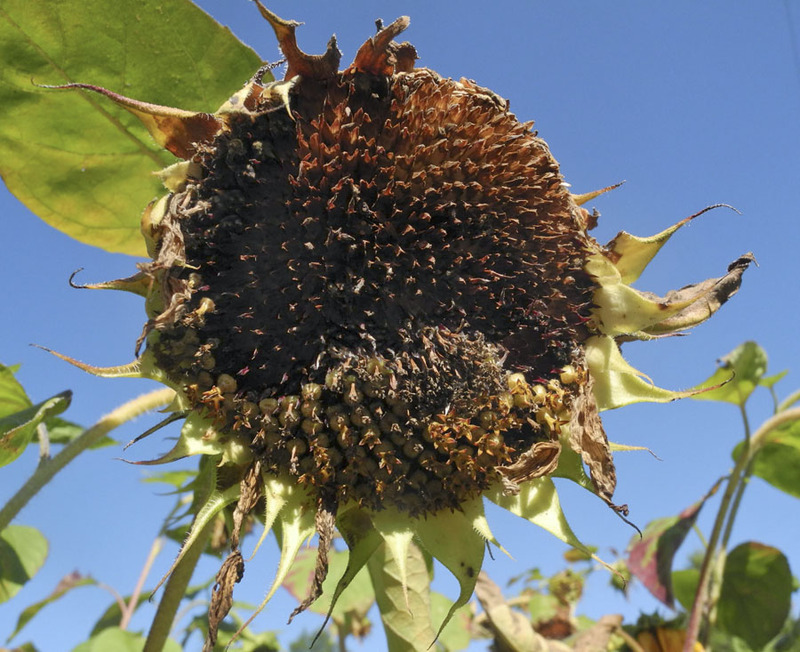 Sunflower heads hang heavy with seeds, a feast for small birds. 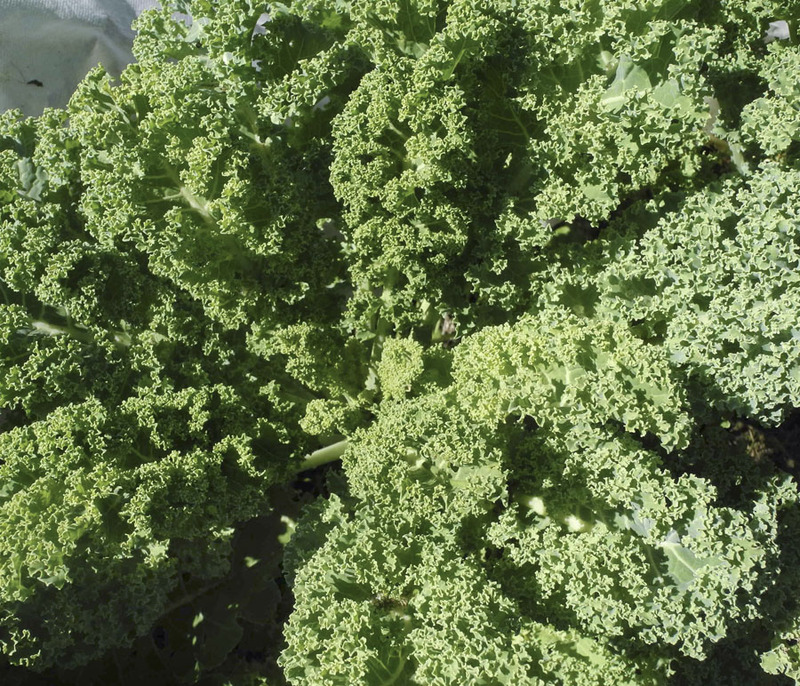 ....as is kale, which gets sweeter with the cold. I've included brussels sprouts and, the wonderful, almost guilty pleasure, kale chips, in meals the past couple of nights. When the weather cools, I switch from lettuce salads to cole slaw. 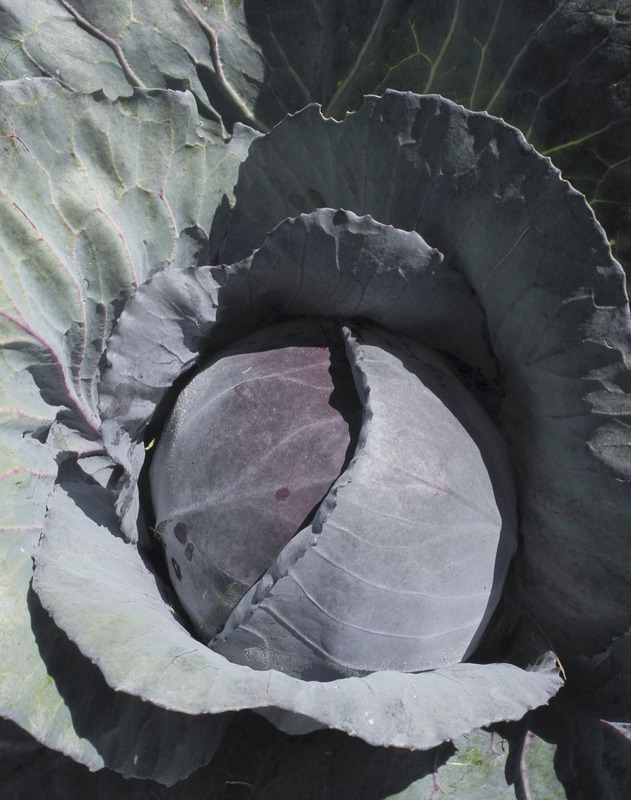 Red cabbage is one of the prettiest plants in the garden. 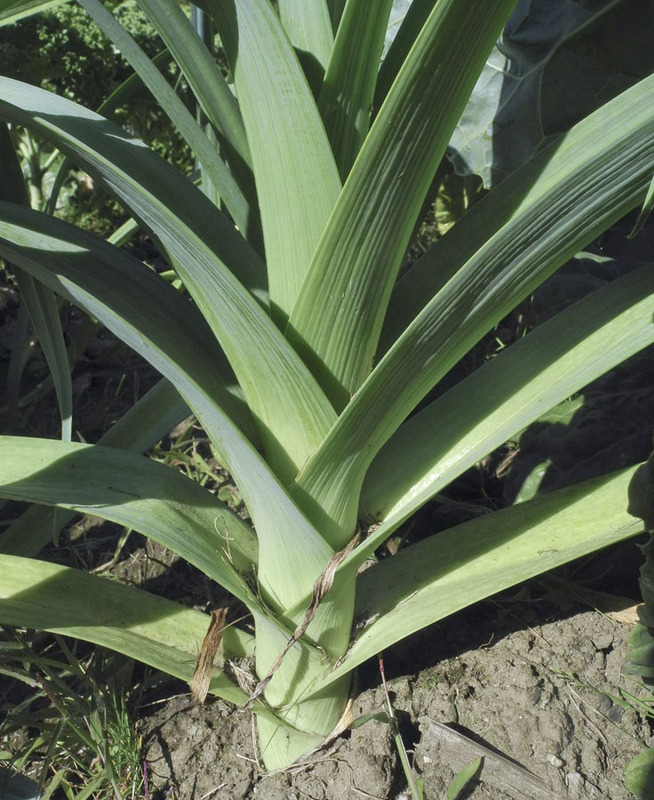 I also love the structure of leeks, whose leaves grow in a stunning pattern, and may be based on the golden ratio, as in much of nature. 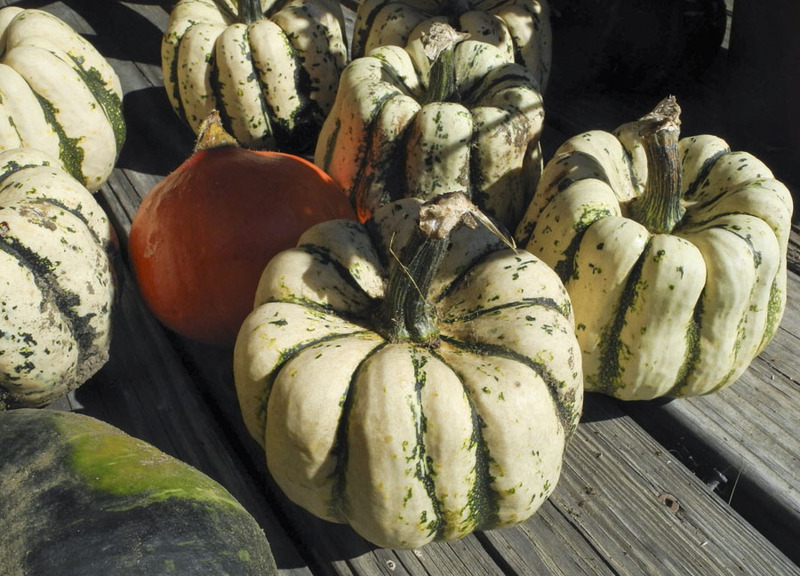 On the porch, protected from frosts, are my winter squashes. I love the switch from spring to summer to fall eating; each season has its delicious delights, making the changes welcome. Split Circle, hand dyed wool on linen, 12 x 10 in. I wanted to make a companion piece to Red Bars, below, so came up with this composition. They are both inspired by Russian Constructivism. 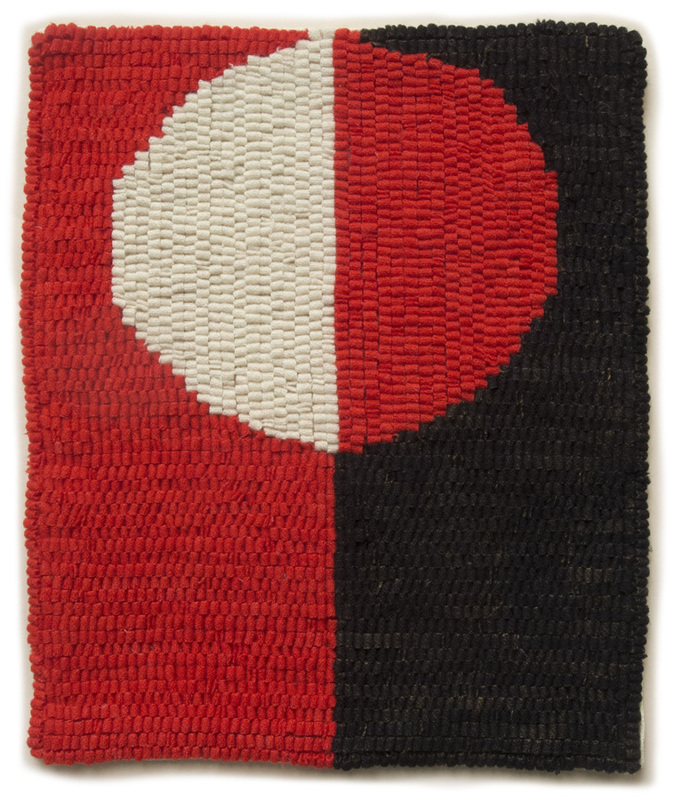 The big decision that I had to make about the hooking of this piece was whether to hook a circular line around the split circle, or to hook the perpendicular lines to the edge, as I did below with the white/black diagonal. A line would have made a smoother circle, but I chose to have stepped changes in the edge; I'm still not sure it was the correct decision, but I kind of like it. 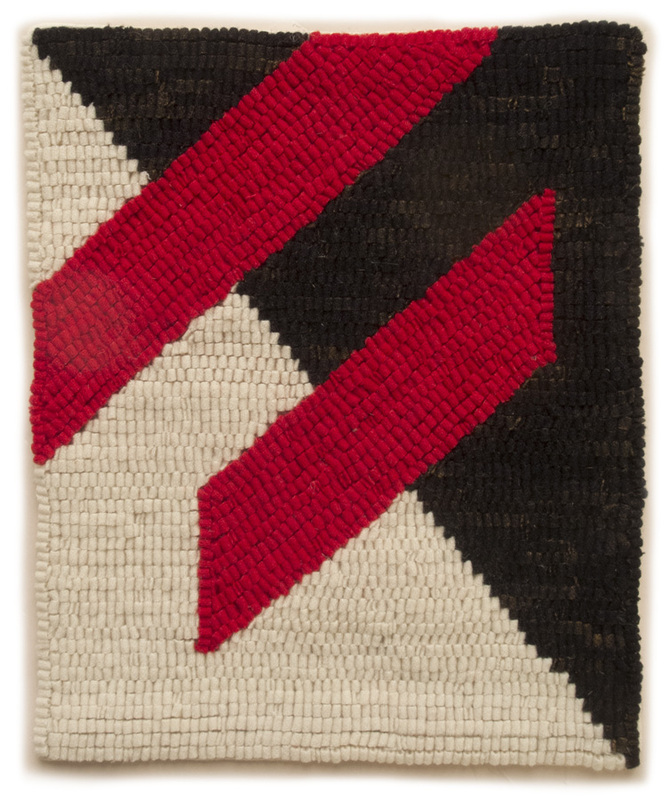 Red Bars, hand dyed wool on linen, 12 x 10 in. You can see the way the horizontal and vertical hooked lines meet each other in this detail; it's like bumping up against zigzag walls. I did try counting loops to make it fairly even from side to side, but I pretty much failed at that. 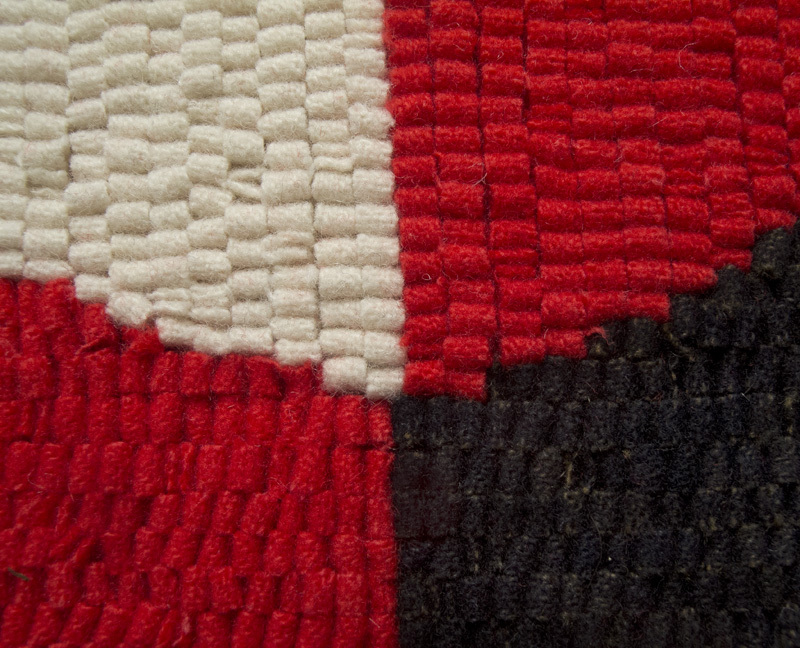 Luckily these hooked textiles have some charm in their irregularity. An old woman appears, walking slowly down a dark hallway, the only light the kerosene lantern she is holding. She places the lantern on a work table and the camera lingers quietly, lovingly, on the old cracked bowl with its painted flowers. 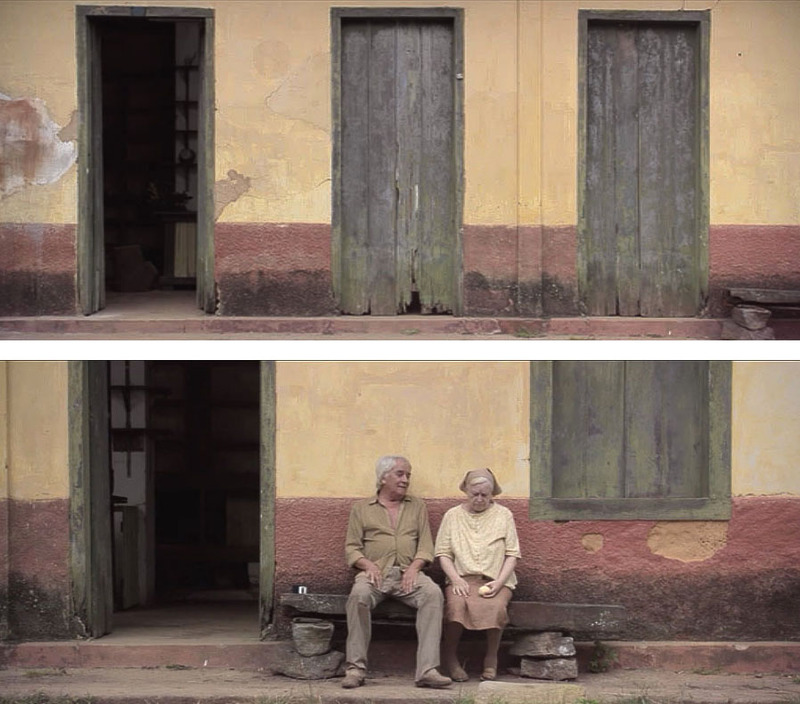 When I saw the bowl, emerging from dark, an ordinary object that was treated with reverence, I knew I'd love this Brazilian film, Found Memories, the first feature by Julia Murat. We see the old woman make bread before dawn, by lantern light. She then walks down the railroad tracks and turns into a street in the village, while singing gently. The tracks are unused, the street empty. She arrives at a building that is beautiful in color and form and balance, even in its disrepair. Each camera shot is carefully composed, and each lasts long enough to allow us to appreciate what we are seeing. The woman, Madalena, takes her bread into the shop, where she and Antonio have a gentle argument about its display. Then they sit outdoors together having a coffee. The slow, deliberate pace makes us realize that these actions have settled into a routine; each day Antonio says "There's some rain on the way"; each day they argue about the quality of the coffee. At midday the town's ten inhabitants go to mass; here we see that all who remain are elderly. We are not told anything about the town, but it is clear that it is isolated and has fallen on hard times. From the NY Times review, I learned that it is a fictional town in northern Brazil. Everyone has a meal together at the church, praying quietly before eating. My love, I'd like to keep our memory forever alive, so our love, in the future, doesn't suffer from the passing of time. We have to go beyond death, this cruel enemy, that didn't choose day or time. I kiss you tenderly, yours, Madalena. She then folds the letter carefully and places it in an envelope, which she addresses to her husband. She puts the envelope, along with many others, in a circular box. The director shows us this round of events over two or three days, so that we see that they never differ. But then youth arrives in the person of a young woman, Rita, traveling in those parts; she asks Madalena to put her up for two or three days. The two regard each other: the old woman with doubt, mistrust, uncertainty; the young woman with the confidence of youth. As she opens long closed rooms in her house for Rita, Madalena discovers her husband's shirt draped over a chair; she smells it with love and memory. Here already is a small change caused by the visitor. Rita is a photographer; she works with both modern digital equipment and with pinhole cameras made from large tin cans. 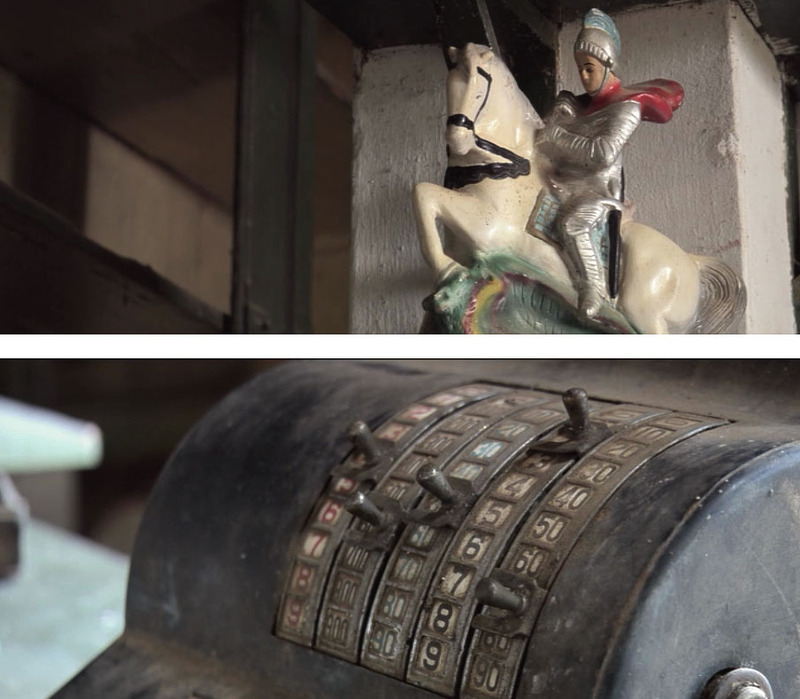 When she walks around the village, we begin to see through her eyes; she notices the objects in Antonio's shop; the film presents them to us with their beauty, charm, and aging dignity. Rita likes the little town; she feels she was born at the wrong time. The photographs she takes with her pinhole cameras are romantic visions of ruins, and touching portraits of the village inhabitants, with whom she's begun to develop bonds of affection. We see the two wary women become very fond of each other. 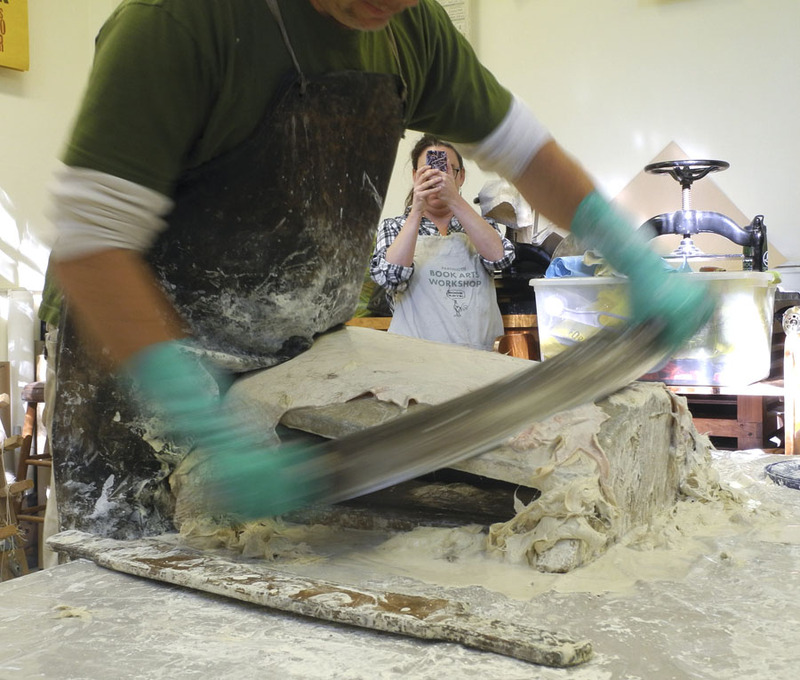 Rita photographs Madalena's kitchen; Madalena asks Rita to touch the bread, because "you need to feel the timing of the dough with your hands". 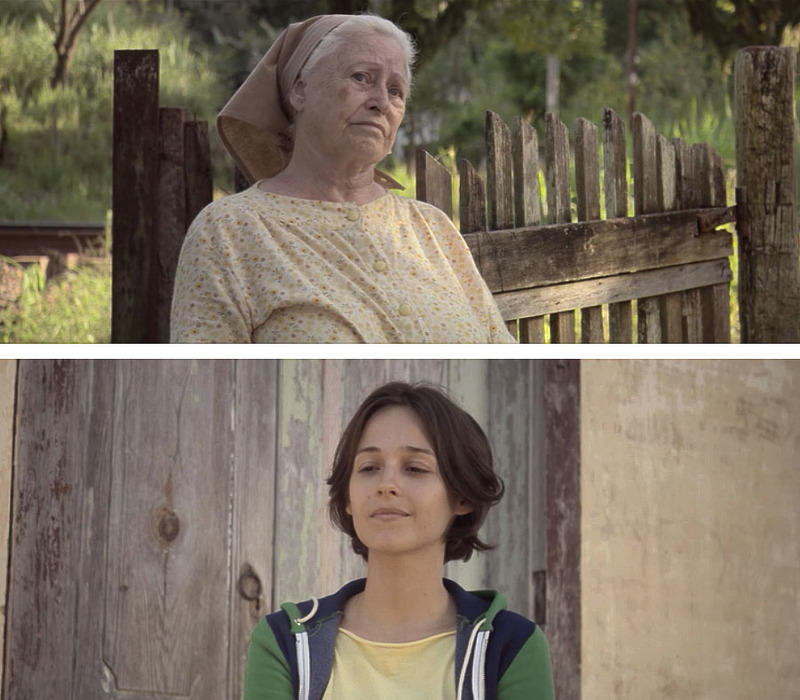 Finally, Madalena allows Rita to take her portrait, and she appears as a beautiful ghost floating before a worn wall. Love and loss hover between life and death. The light in this film is often so beautiful, whether sunlight cast on objects and wall, or the flickering light of kerosene lanterns. Toward the end of the film we see Rita in a bath; the room is bathed in light, her head in shadow. Is this a metaphor of baptism or of death? This quiet, slow, meditative film leaves us with love and beauty, but with no answers.